Recently, there was an outbreak of canine influenza in the Midwest, but this time it’s a different strain of virus. Canine influenza (also known as dog flu) is a contagious respiratory disease in dogs caused by specific Type A influenza viruses known to infect dogs, according to the Centers for Disease Control and Prevention (CDC). There are two different viruses: an H3N8 virus and an H3N2 virus. You may be most familiar with H3N8 if you have vaccinated your dog. At this time, it’s unclear whether the vaccine will also provide protection against the H3N2 virus. Symptoms of canine influenza in dogs include cough, runny nose and fever. Not all dogs will show signs of illness. The severity of illness associated with canine flu in dogs can range from no signs to severe illness resulting in pneumonia and sometimes death. However, a very small percentage of deaths can be attributed to this virus. Dogs are most likely to contract canine influenza through direct contact with other dogs, such as coughing or sneezing, and the illness can spread through locations such as kennels or shelters. In geographical areas where the viruses are active, avoid places where dogs congregate such as dog parks and grooming salons. If your dog is coughing or showing other possible signs of the virus, don’t expose your dog to other pets. You should clean and disinfect clothing, equipment, surfaces and hands after exposure to dogs showing signs of respiratory disease. Refer to the CDC’s website or the American Veterinary Medical Association’s website for more information on canine influenza. 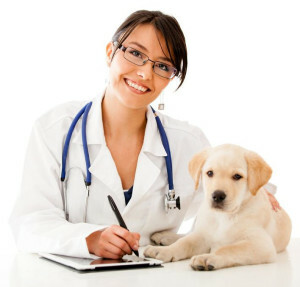 If you have any questions about the virus, including whether you should test your dog, consult your veterinarian. Lesley is the Director of Communications & Marketing for an insurance company in Florida. She's also a proud Aussie mom and a Florida Gator and Tampa Bay Lightning fan.